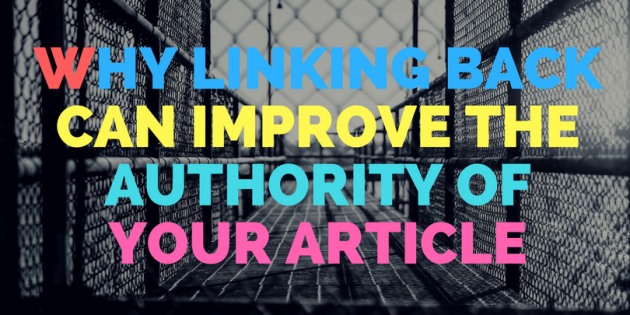 Linking back, aka providing a link to any content that is relevant to your article or providing a link to any article you used as research. Just like you would have to do when writing an essay at University, however they called it “references”. First, you may just need some inspiration on what to write about. If you don’t have an informed opinion reading around gets you started. Hint: If you want a quicker more structured way to do this use Article Insights to shortcut the keyword/topic research. Evernote allows you to save Web pages to a cloud-based file system. You create the folders and tags, and you include notes that help you find that information when you need it later. If you used anything verbatim or even re-written you should think about putting in a”references” or “resources” section at the bottom. We also know that Google checks both your inbound and outbound links on the article page. Outbound links are those that you put on your page. You have 100% control on these. On the other hand, it is entirely possible that linking to well-known and respected sites such as Wikipedia can be used as a defacto “trust” factor. Google analyzes what you link to. Basically you want your article to seem natural & natural looking pages link to other natural pages. Not linking to other sites may not break your site SEO, however linking to the wrong ones definitely will. 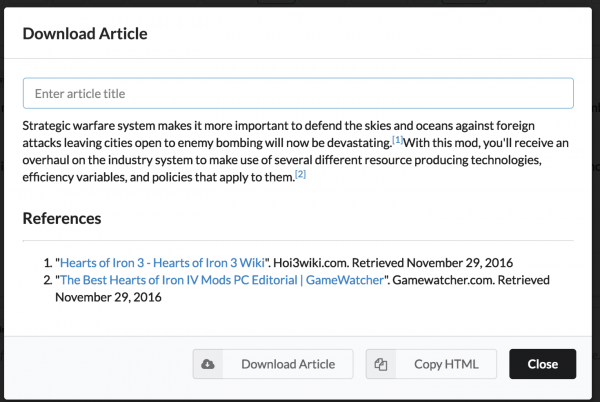 If you are an Article Insights user, anytime you click on research, it will track the link back to the original source for you. You can see a completed list by clicking on the save article icon.